At the risk of oversimplifying, if we can see ourselves as others see us then we could better see our imperfections and correct them. Dr. Clifton was worried about the opposite problem: the inability to see ourselves objectively and in our entirety makes our greatest qualities invisible to us as well. If we could see our strengths then we could harness them to live more efficaciously and with greater joy. 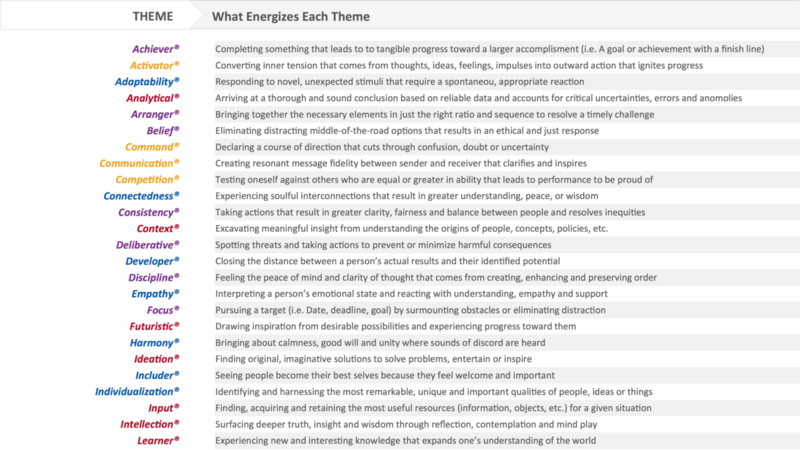 How Do Your Themes Respond to Change? At T2S we look for ways to bring the CliftonStrengths themes to life. One way is to provide lists on various topics. 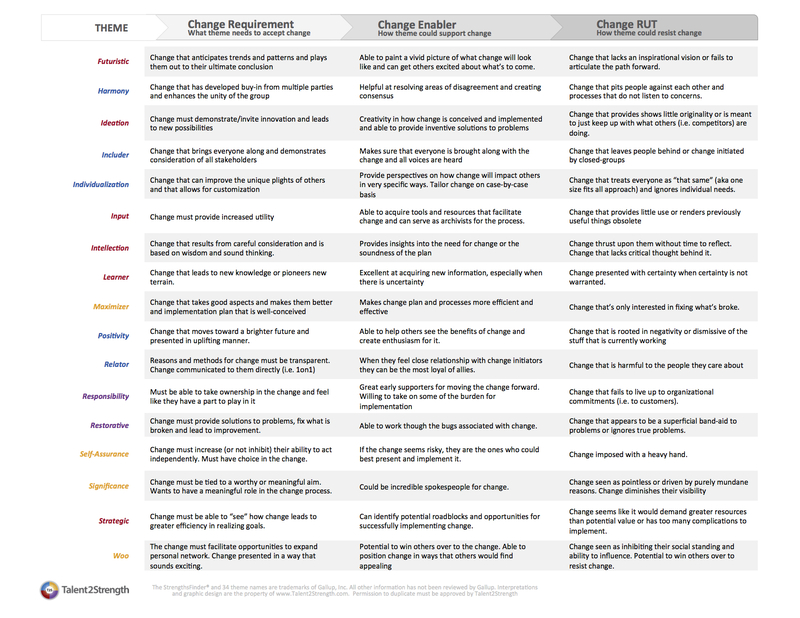 Here is our first list where we look at the themes through the lens of change. These lists have not been reviewed or endorsed by Gallup. They are simply our interpretations. 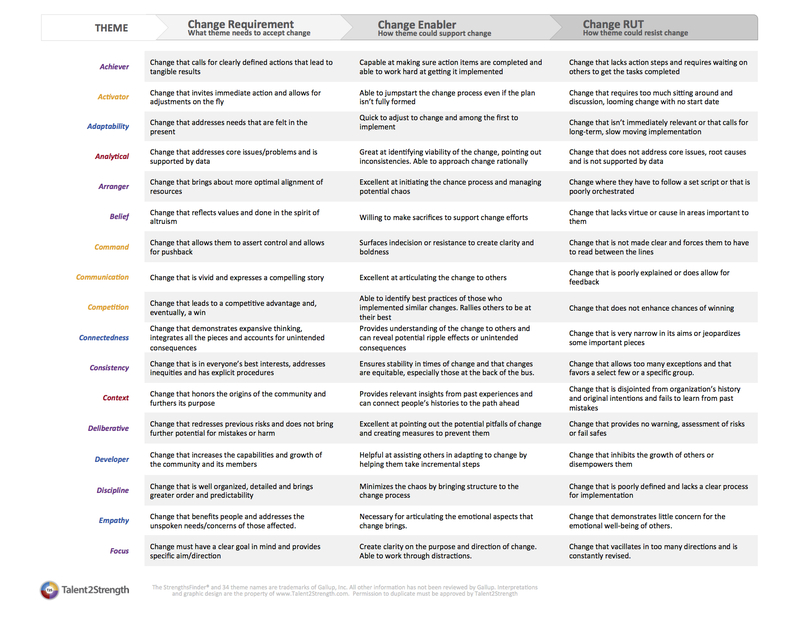 With this list, see how well our descriptions describe how your themes respond to change. You may see that our business name is Talent to Strength, because that describes the essence of what we do. We provide people with the tools, knowledge and resources to learn and understand their talents and apply them to become a strength. Now, why didn't Dr. Clifton just create an instrument that could tell you what your strengths were? As I mentioned in the last issue, there's an infinite number of activities and there's various performance levels among them, so it would be impossible to create an assessment to identify your unique strengths. So instead, he focused on helping people to identify talents, because Dr. Clifton came to realize that in order to perform something consistently and near perfectly, in other words a strength, we needed to harness our talents. One of the things that I think throws people through a loop is that it's called StrengthsFinder and yet, as I outlined in the last issue, the results of your StrengthsFinder assessment are not strengths, but your themes of talent. 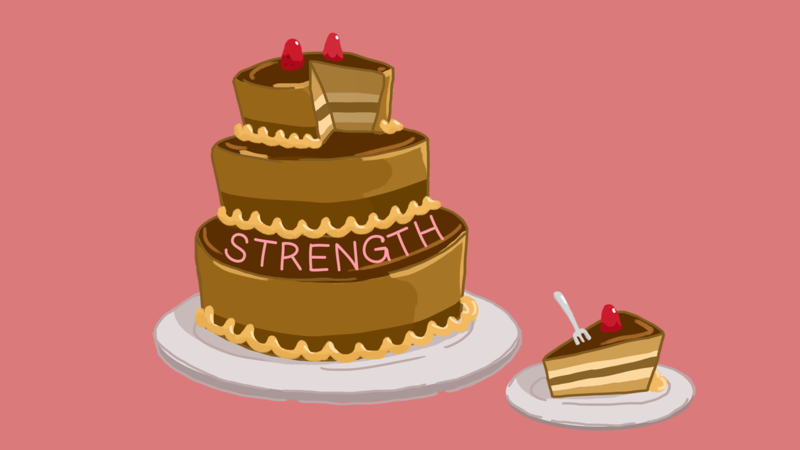 Let’s talk about what a strength is and why StrengthsFinder does not tell you your strengths.